This holiday, you’ll take back what’s rightfully yours. 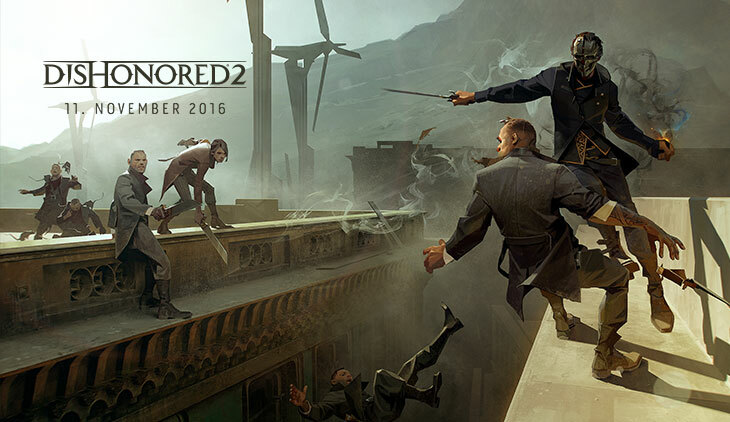 Dishonored 2, the sequel to Arkane Studios’ critically acclaimed first-person action game, will release worldwide on November 11 for Xbox One, PS4 and PC. New details about the game will be revealed in Game Informer’s exclusive cover story, available on Saturday, May 7, with the digital edition available today. 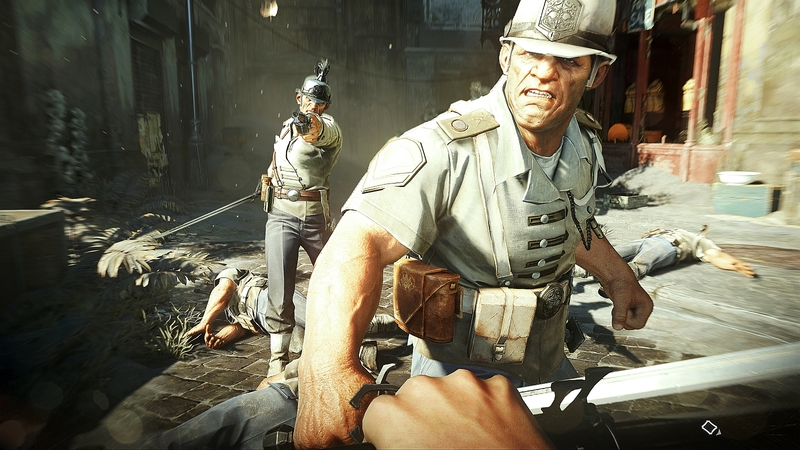 The world premiere of Dishonored 2 gameplay will take place during Bethesda’s 2016 E3 Showcase being held in Los Angeles, California, on June 12 beginning at 7pm PST, and streamed live around the world via Twitch and YouTube. Visually the game pretty much looks like a more detailed version of the last game. Before anyone asks, there's no co-op, as they weren't sure how to design that in. The game runs on a modified version of idtech5 they've dubbed The Void Engine. The game takes place 15 years after the original. 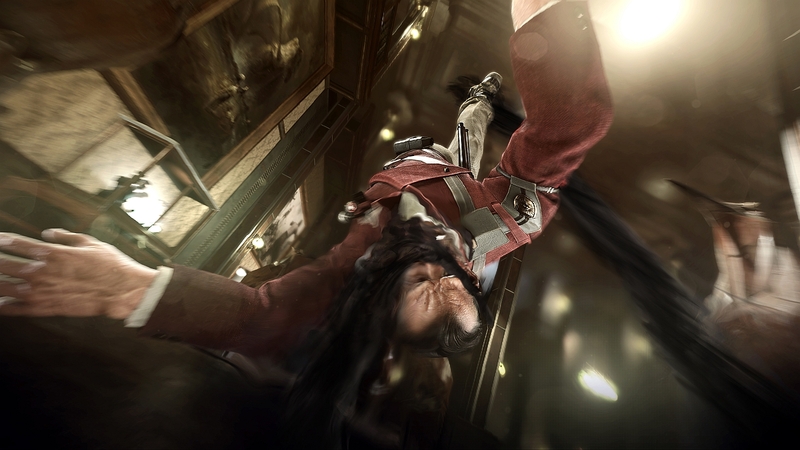 After the events of the first game, Corvo was concerned that at some point, people would attempt to assassinate Emily. As such, he spent said 15 years training her how to be a magical assassin like him whenever she wasn't too busy being Empress. The game starts out with you playing as Emily during a coup d'etat and having to escape. Afterwards, you choose whether to play as Emily on her quest to reclaim her throne, or as Corvo with the same objective. 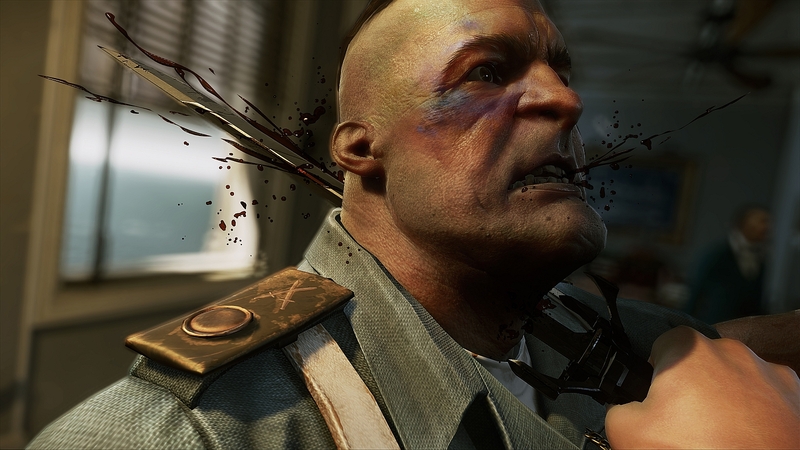 "When fans found out they could play Dishonored 2 from the perspective of Emily Kaldwin, they were overwhelmingly positive. "The response was stunning for us," Smith says." 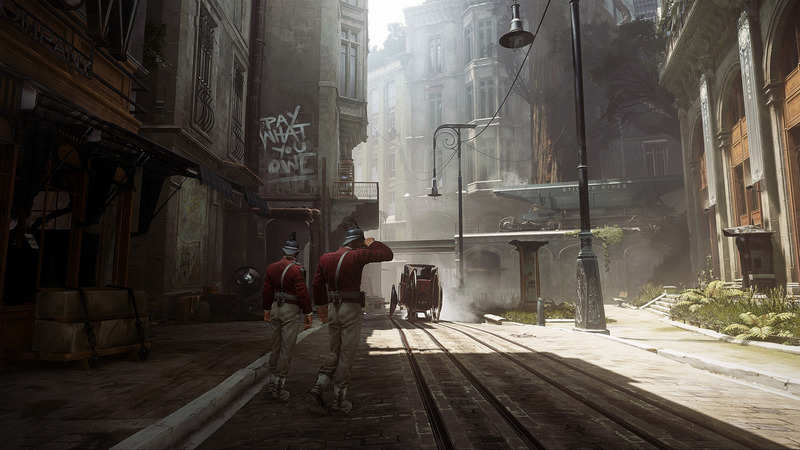 The game starts and ends in Dunwall, but the rest of the game takes place in Karnaca, which is inspired by Mediterranean European countries and is the birthplace of Corvo. 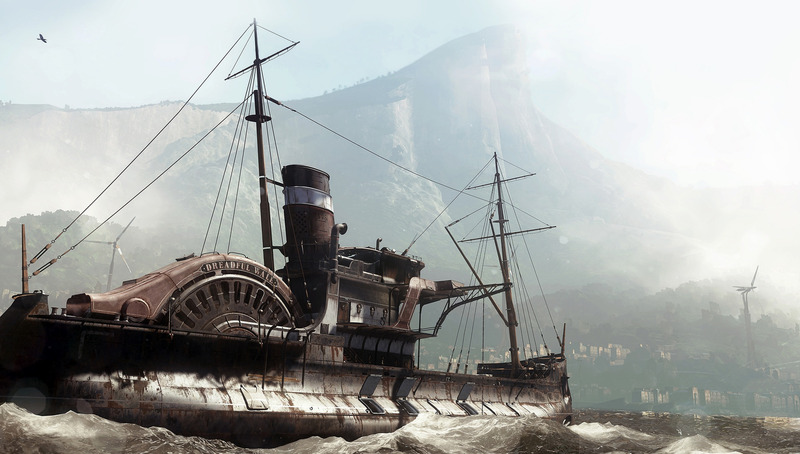 Karnaca is also where the majority of the game takes place. There's a bunch of stuff about their art design process in here. Let's just suffice it to say that if you liked how the first game looked and how the universe was, you should be satisfied here. The plot setup for how missions works sounds pretty similar. There's some public figure doing bad things and you get information/help from other characters to help in your goal of taking them down. The guards are a lot smarter this time and can also do things like vault around and scale objects to chase you. Emily has a new set of powers. Far Reach is this giant hand grappling hook thing that pulls you around. It's like blink, except you actually physically move across spaces, so guards can notice you. Far Reach can also be used as a weapon by swinging around environment objects. The game is a lot more vertical so these movement abilities are especially important. You can do non-lethal aerial takedowns. Missions have various options for completion and progression throughout, much like the previous game. You can use guards as human shields. Non-lethal/stealth options have been expanded quite a bit to be more up to par with the amount of lethal options. Another one of Emily's abilities is Mesmerize, which stuns multiple guards temporarily. You can puts guards into beds to avoid suspicion. There's a bunch of difficulty sliders for things like how visible you are in cover. There's quick saving/quick load in all versions of the game now along with checkpoints so you don't risk losing much progress at any given time. Coy non-comment about mods. Please download Bethesda.net™. Another of Emily's powers is Domino. You link up to four guards together, and then whatever happens to one guard, happens to the rest. For example, if you link four guards, and then lead one into a stun mine, all four are stunned. This also works with Doppelganger, where you create a clone of yourself, then link it to the guards, and blow up your own clone. Emily also has the Shadow Walk ability which lets her slink into shadows and squeeze into tight places. 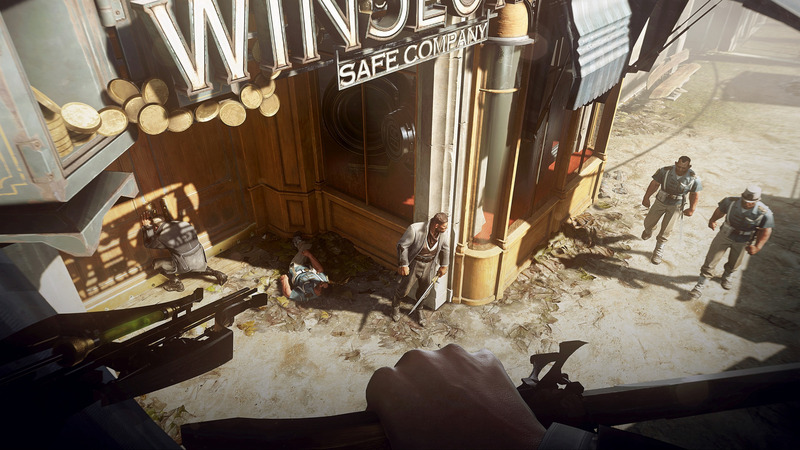 Some of the missions have neutral areas where you can go around and talk to the various citizens to get a feel for the city and hints toward your mission. Your base of operations is a boat. 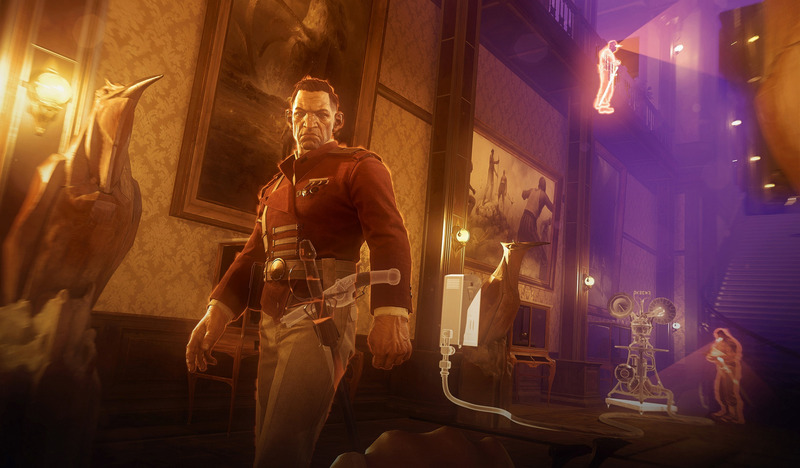 Both Emily and Corvo have a pistol, sword, and crossbow, but they look different. Also they have different end game upgrades to the items. Corvo has the same powers as the last game, but they're upgraded and expanded. Corvo is voiced by Garrett from Thief because Harvey and Raf like Thief and this game has obviously ate its lunch. Corvo's Bend Time ability can now also fast forward time. Corvo's possession ability can now be chained between creatures. 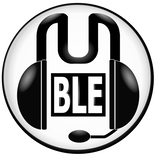 The abilities now unlock in a tree. Corvo's blink can assassinate someone through a glass window starting at level 1. The mansion from the trailer is an interlocking puzzle level where you pull levers and open new areas and all sorts of stuff like that. The clockwork soldiers are now wood instead of porcelain, though it's nice looking wood. They're trying to make the ending and morality systems less bad this time. Cannot wait for this game, I absolutely adored the first game, despite the spelling being wrong. This and Deus Ex cannot come soon enough. If it's anything as good as the first game then this will be my GOTY! Stoked! Loved the original. Hated the way Bethesda/Zeni Max acquired the dev. Really looking forward to this. Though I still don't have a huge issue with games being announced years in advance, I could get used to these announced and released in the same year reveals. I to would like to play this game one day. First game was strawberry floating awesome. More. Such an interesting universe. I love media that depicts society on the brink of collapse. I especially loved the heart item and the cryptic statements it spouted. I still want to know what it meant by 'when the last leviathan dies, all shall turn to darkness'. The lore in the game was enjoyable. Saint of Killers wrote: Loved the original. Hated the way Bethesda/Zeni Max acquired the dev. Really looking forward to this. This was announced at last year's E3. That's my Christmas Day sorted. "There is no hunting like the hunting of a man. And those who've hunted armed men long enough, and like it, never really care for anything else thereafter." Woop. Totally sucked into the first. New video up on Gameinformer with the devs talking about how they've built on the gameplay from the first game. Very excited for this - if they can improve on what they delivered in the original then I am going to be a very happy bunny. One of the things I'm most interested in is larger play areas - the levels in the first suffered a bit from being chopped up into segments. Jenuall wrote: New video up on Gameinformer with the devs talking about how they've built on the gameplay from the first game. So glad that they are opening up areas and that there is more verticality. But on a similar note, I'm glad that this is not entirely open world. It does not need to follow that trend. Improving on the original is my main hope for this game. And I'm fairly sure they will do that. You could tell that they were getting comfortable making levels from the DLC packs. The mission with the big building by the square in the first DLC was so fun. This might be the only game that I am excited for at the end of this year. I actually quite liked the episodic/chapter like presentation of the game's narrative. It meant there was a solid sense of progression and new challenges. Green Gecko wrote: I actually quite liked the episodic/chapter like presentation of the game's narrative. It meant there was a solid sense of progression and new challenges. Very happy for there to be clear missions/stages - personally I would just like to see bigger areas and less mid mission load points - e.g. if the Boyle mansion mission were one continuous play space, rather than separate zones for the interior and exterior. Same here - it's more from a gameplay perspective and general immersion that it was annoying. 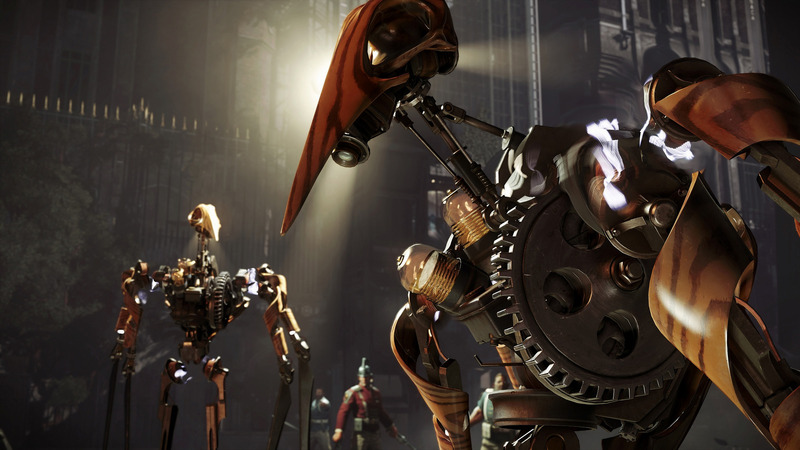 Playing the likes of Thief and Deus Ex back in the day which featured big areas and free movement between indoor and outdoor environments, Dishonored felt a bit restrictive and backward in comparison. 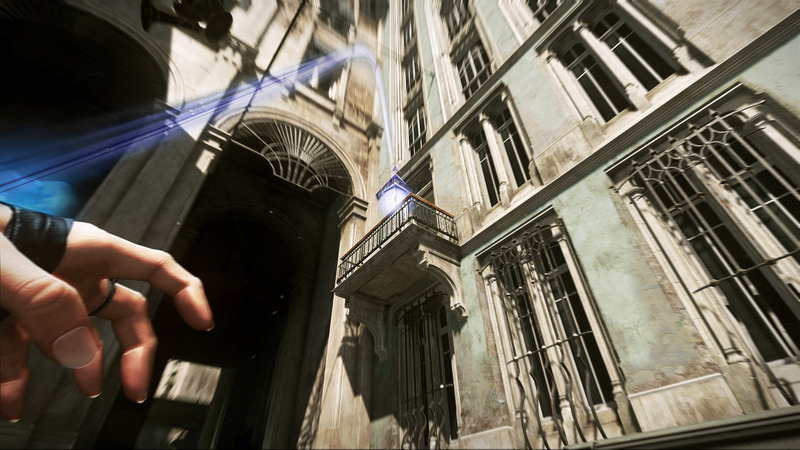 It was still an amazing game, but like I say this was definitely an area I want to see improvement in - the E3 trailer last year hinted at Emily scoping out the targets mansion from across the city and then making her way there. It would be great if we could do that for real this time. Looks really good - seems like they've managed to upgrade things visually without losing the very particular style and art direction that the first game had. I really should go back to the original. I rage quit out of it after getting a few hours in, because I decided for some reason I was going to go for an undetected run through the game. I got all the way through one mission, only for the completion screen to pop up at the end and tell me that at some point, someone had seen me without me noticing. I'd crawled round for ages, saving and reloading, trying to do it perfectly, and I had no idea when I'd been spotted, no way was I going to go through all that again, so I just left it and never played since.